When Will Attitudes Change Toward Solar? It was a bright, sunny day in Chicago on September 24. Celebrants were singing, “You Are My Sunshine,” as the solar panels had already saved $64 since the Institute of Cultural Affairs (ICA) in the US had started them up just a few hours earlier. 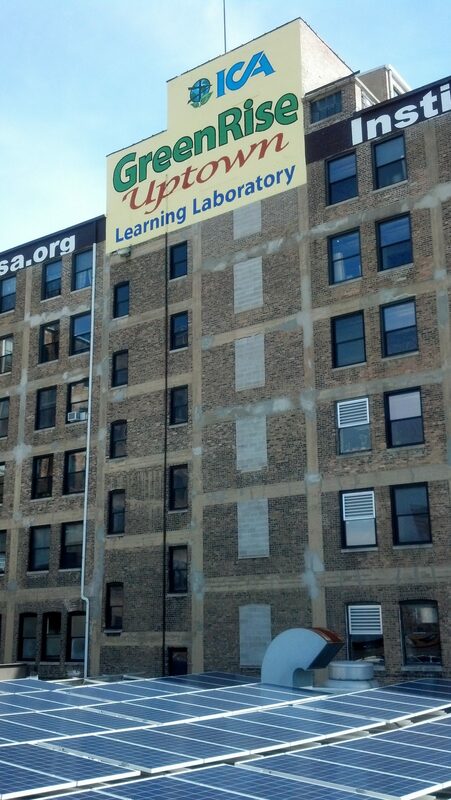 With 483 panels, each producing 310 watts, ICA’s 166,000 square foot landmark building in Chicago’s Uptown community now has the largest number of solar panels on a building outside of downtown. Yearly savings are projected to exceed $16,000 and reduce the 8-story building’s dependency on external supply of electricity by 23 percent, with over 150 kilowatts of solar power. As the largest nonprofit service center in the Midwest, ICA is not only creating a learning lab here in Chicago but also demonstrating a sustainable future for us all. So how long before we all learn to tap the sun? A lot longer if the Koch brothers continue to buy political support to repeal and weaken green policies. But they are not the only ones opposing solar. The Los Angeles Times ran a story on August 9, reporting how utilities in the South back laws that keep people from installing solar panels by banning leasing arrangements. Illinois has passed legislation to allow “net metering,'' which guarantees homeowners and businesses with solar panels on their roofs the right to sell excess electricity back into the power grid at attractive rates. This is recognized as the cornerstone of the solar energy business model. However, utilities have delayed implementation, curtailing market demand for solar and the green jobs we are still awaiting. Affordable housing developers and community planners should be creating market demand by installing solar wherever possible and assuring that our constituents are financially benefitting from the cost savings and environmental benefits of renewable energy. Organizers and policy advocates need to raise the question with our state legislators. Attitudes won’t change if we don’t.